January in Southern California is a time to keep landscapes looking lush while preparing for the spring growing season. Plant Winter Flowers: Perennial plants can look worse for wear in January. Give your flower garden a fresh look by planting cool-season annuals such as pansies, snapdragons, calendulas and linaria. Select already-blooming flowers at garden centers for instant color. The flowers will bloom well into spring. Plant Bareroot Fruit Trees: Local nurseries should be filled with a variety of bareroot fruit and nut trees in January. Look for a tree with a root system that is in proportion to the branch system. The tree should contain numerous branches that are evenly distributed and be between 4 foot and 8 foot in height. Prepare Soil for Planting: Whether planting flowers or trees, planting success begins with the quality of the soil. Organic soil amendments are made from natural ingredients that give plants the necessary nutrients to withstand the initial planting and then take root and flourish. Some amendments are specifically designed for clay or sandy soils. Prune and Pinch: It’s time to trim deciduous trees and shape shrubs so they can accommodate spring growth. Pinch back dead portions of perennial and annual flowers to encourage new growth. Place Mulch in Garden: Even the slightest amount of rain is all that’s needed for weeds to grow. Keep weeds in check by placing mulch around vegetable plants, flowerbeds, shrubs and trees. 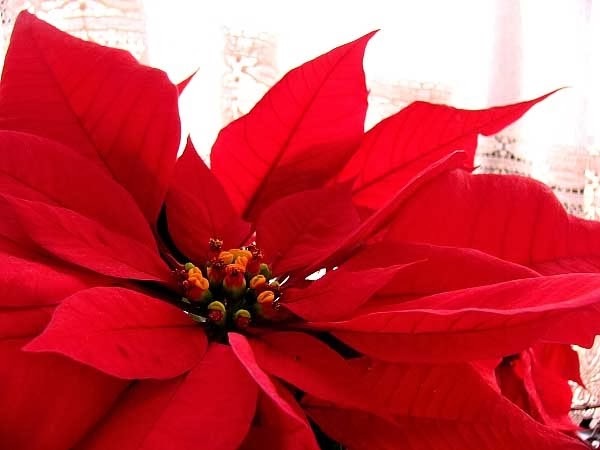 Extend the Life of Poinsettias: Poinsettia plants will usually remain healthy into March. Once leaves start looking weary, cut back stems to about eight inches tall. Keep the plants indoors until the weather warms and then transplant into a larger container. Prune as needed so the plant remains bushy. New flowers will begin to grow in October and reach their peak in November and December. Plant Living Christmas Trees: Living Christmas trees should spend as little time as possible indoors. Once the holidays are over, bring living Christmas trees outside and transplant into the ground. Trees can easily grow 50 feet or higher so select their permanent outdoor location carefully. Factor in root growth (roots can cause havoc on sewer lines, sidewalks and patios) and dropping needles (cleanup can be daily if needles fall onto outdoor living areas).